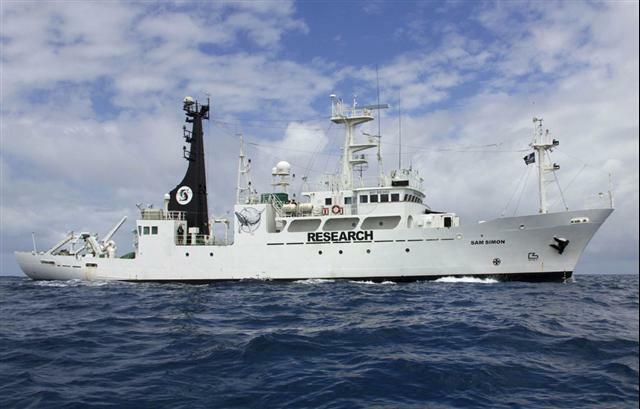 The fugitive leader of Sea Shepherd wrote on their website: “I wish I could elaborate on the ship but until it is secured, outfitted, and ready for Whale Wars, that information has to remain classified,” (see link below). “Classified?” Why? All vessels have an IMO number (International Maritime Organization) established by the United Nations. In November, 2012 the vessel was registered in Australia. 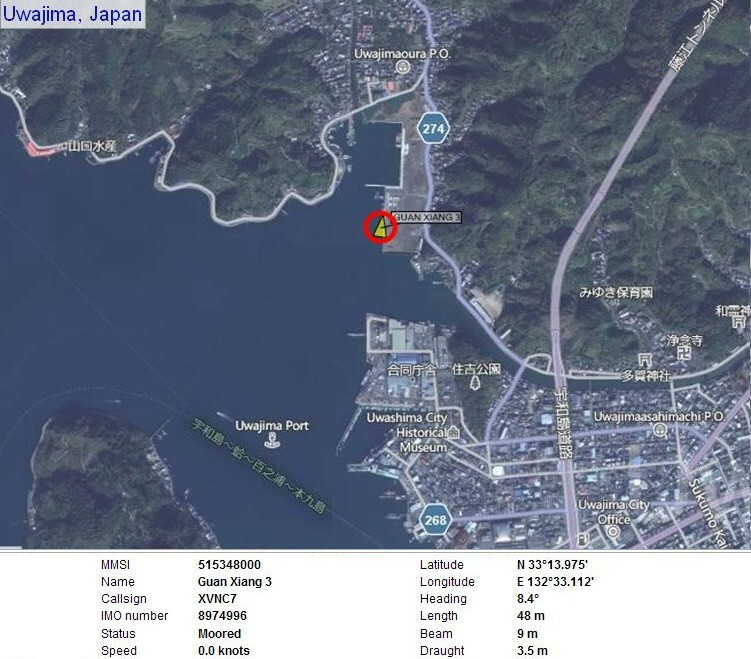 According to the Australian registry they ship’s IMO is: IMO 9053452. 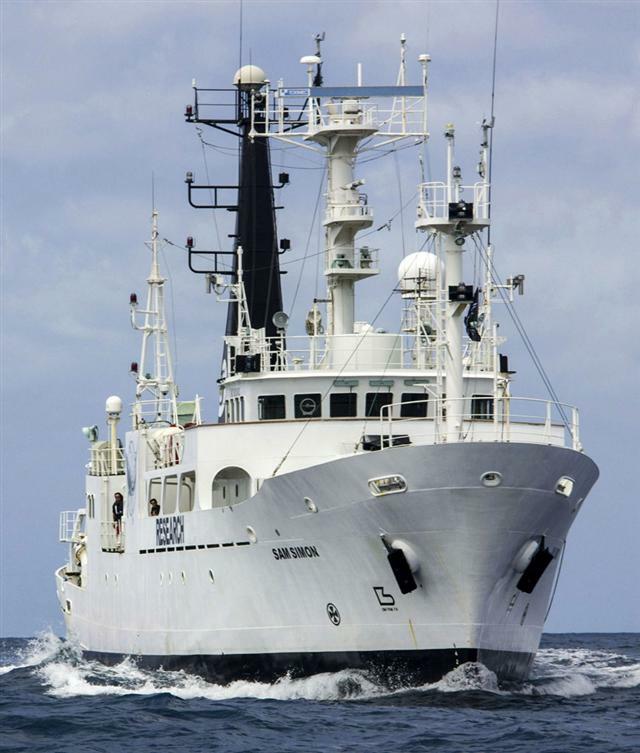 A Google search verifies IMO 9053452 being Sea Shepherd’s M/V Sam Simon registered in Australia. 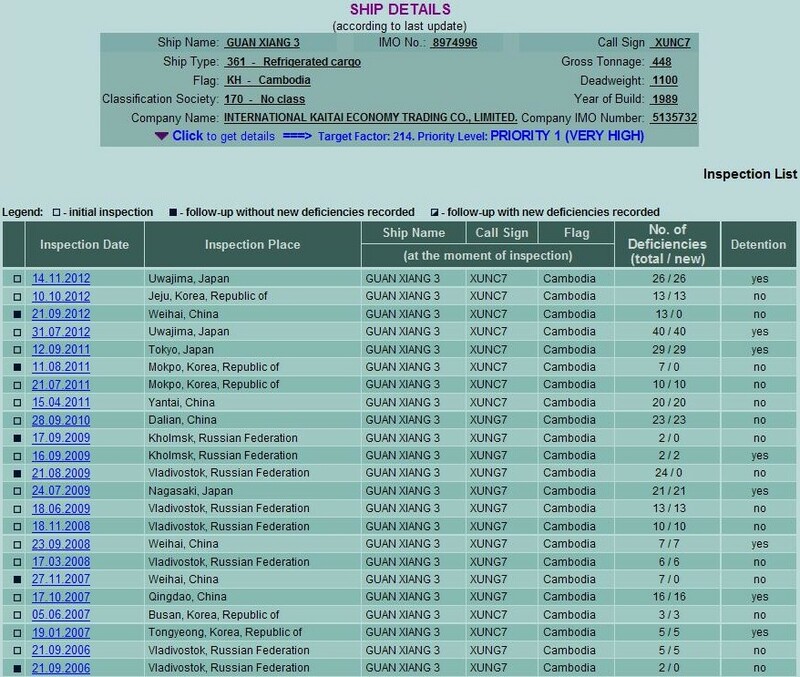 Sea Shepherd Sam Simon IMO 9053452 made in Japan Other online ship registries document the vessel’s prior name “New Atlantis” registered in the Tuvalu Islands, NOT Germany as stated by Sea Shepherd. It is possible the vessel “New Atlantis” was owned by a German company / group / or person, and registered in the Tuvalu Islands. 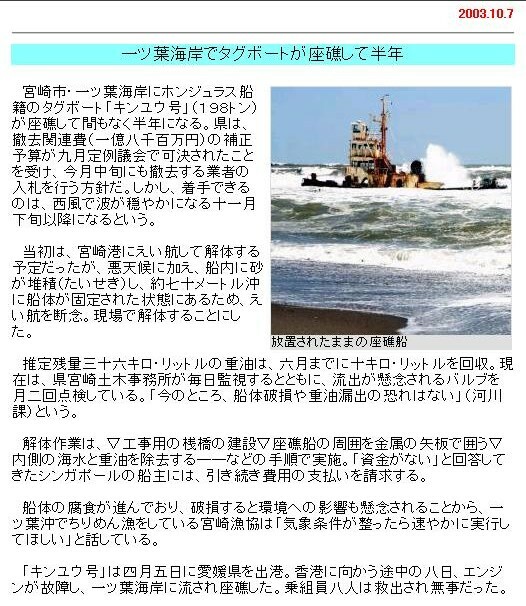 Further documentation revealed prior to the vessel being named “New Atlantis,” it was named Kaiko Maru no.8 and Seifu Maru both registered in Japan where the vessel was built. 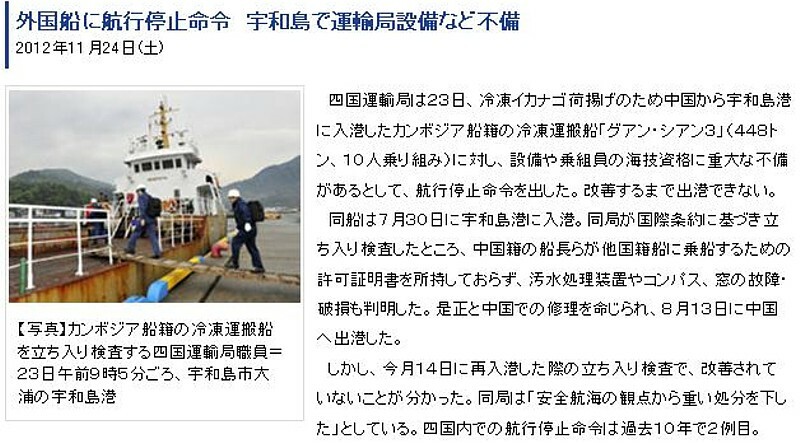 In other words Sea Shepherd purchased a ship made in Japan! To say it was a German vessel may be correct but deceitful. 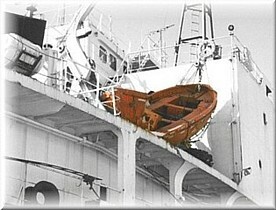 It may have been a German owned vessel, but it is a made in Japan vessel (Japanese vessel). Why the subterfuge? Many Sea Shepherd blogs / Facebook pages urges their minions not to purchase any products in Japan objecting to the dolphin activity in Taiji, Japan, and the Japanese whalers in the Southern Ocean. On a ship registry site the Sam Simon’s IMO changed. The third digit was changed from a 5 to a 6. Incorrect IMO 9063452, correct IMO 9053452. The “build” date was changed from 1993 to 1998. 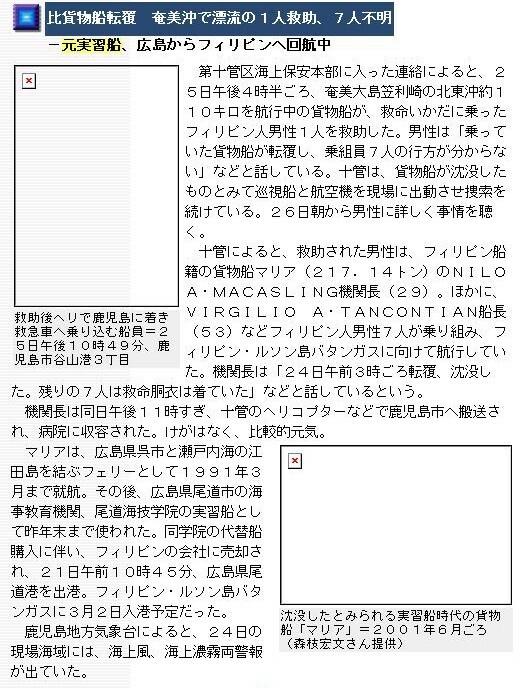 Apparently the UN’s International Maritime Organization and the ship’s registry site were made aware of this error. 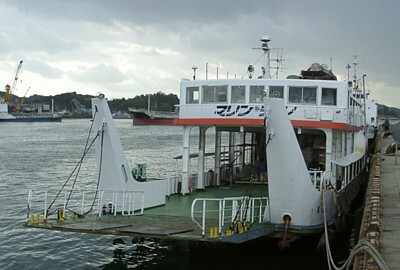 Subsequently the error was corrected and the vessel’s correct history was added showing it to have been built in Japan – MADE IN JAPAN. Perhaps being a fugitive the gentleman had difficulty identifying the truth. Two Chinese trawlers seized in Australian waters have been taken to the northern city of Darwin and may be destroyed if found guilty of illegal action, a Australian government official said on Sunday. 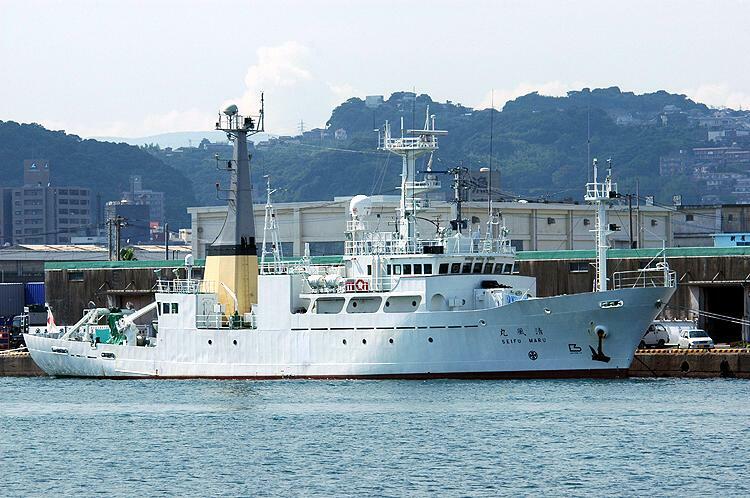 The vessels, De Yuan Yu 001 and De Yuan Yu 002, carrying 27 crew, were intercepted by an Australian naval vessel inside the Australian fishing zone northwest of the Wessels islands early on Thursday. A spokesman for Australia's Minister for Fisheries, Forestry and Conservation, Eric Abetz, told Reuters on Sunday that the vessels had been taken to Australia's northern city of Darwin. "What happens to them depends on the investigation. Normally they would be destroyed if found guilty," he said. Australian Fisheries Management Authority officers will investigate whether charges will be laid. Initial investigations by Australian Fisheries Management found about 4,000 kg of reef fish on board the De Yuan Yu 001, and 3,000 kg on board the De Yuan Yu 002, the Australian government has said. 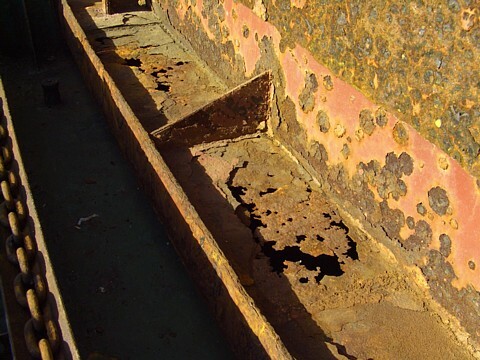 Australian officials said on the weekend that a new trend may be emerging in illegal poaching in Australian waters, which so far has been dominated by Indonesian fishermen, often in ramshackle vessels. "It is of concern because these (the Chinese) vessels are quite capable of catching a lot of fish," a spokesman for Australian Fisheries Management told Australian Broadcasting Corp television on Saturday night. The seized Chinese vessels each weigh about 123 tonnes and are 31 metres in length. Thirteen crew were found on board one vessel and 14 on the other. All are People's Republic of China nationals, the Australian government has said. The Chinese embassy in Canberra has told China's Xinhua news service that the two vessels were on their way to a nearby refuelling vessel, and said they were in Australian waters because of current and wind factors. 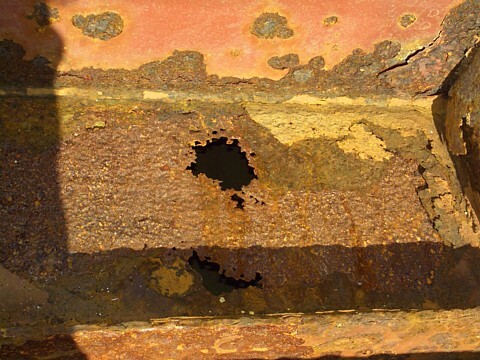 In another development, an abandoned mystery ship was found floating off the coast of northern Australia in the Gulf of Carpentaria on Saturday. 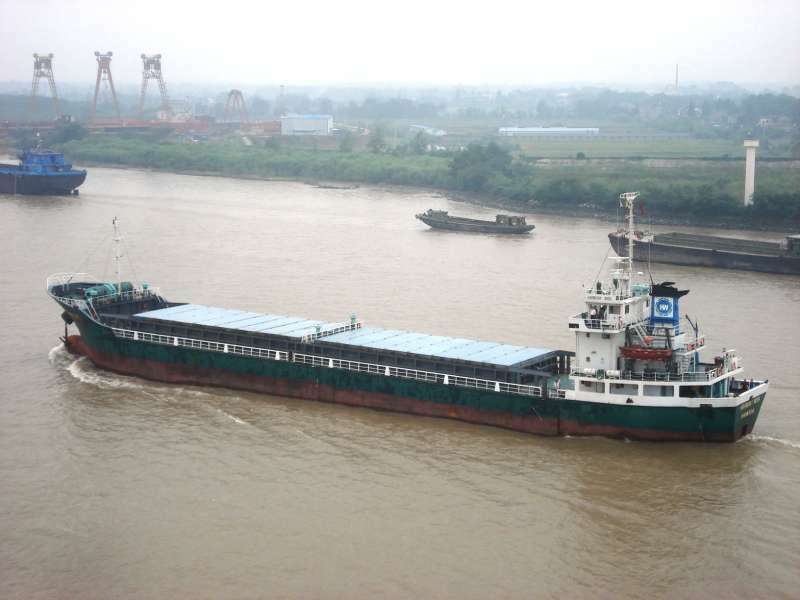 Australian customs officers boarded the 80-metre long vessel, named Jian Seng. Its nationality and port of origin is unknown, an Australian customs spokesman said. 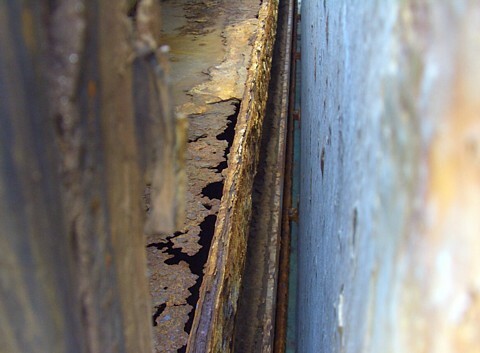 The ship was trailing a broken tow rope from its bow and may have been abandoned because it was inoperable, he said. The Jiang Seng is the second ghost ship to be found in Australian waters in recent times. 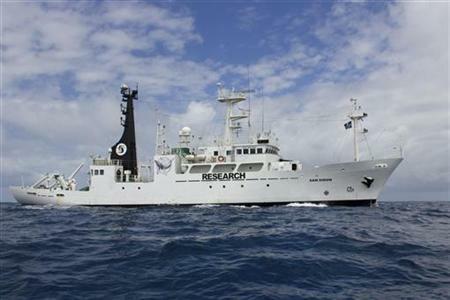 The Taiwanese fishing vessel High Aim 6 was found drifting off the northwestern coast of Western Australia in 2003, and was sunk off the western township of Broome. CANBERRA: The Australian Government announced on Friday that two Chinese steel-hulled trawler vessels have been seized inside Australian waters and are being taken to Darwin, the capital of the Northern Territory. The crew will be investigated by the Australian Fisheries Management Authority (AFMA) in Darwin, according to a joint statement by Australian Fisheries Minister Eric Abetz, Defence Minister Brendan Nelson and Justice Minister Chris Ellison. The vessels De Yuan Yu 001 and De Yuan Yu 002 were intercepted by HMAS Ipswich inside the Australian Fishing Zone northwest of the Wessels islands off the Northern Territory coast early on Thursday after being spotted by Coastwatch aircraft, said the statement. Sources from the Chinese Embassy in Canberra said on Friday that the two vessels were on their way to a nearby refuelling vessel for more fuel, adding they were in Australian waters due to current and wind factors. 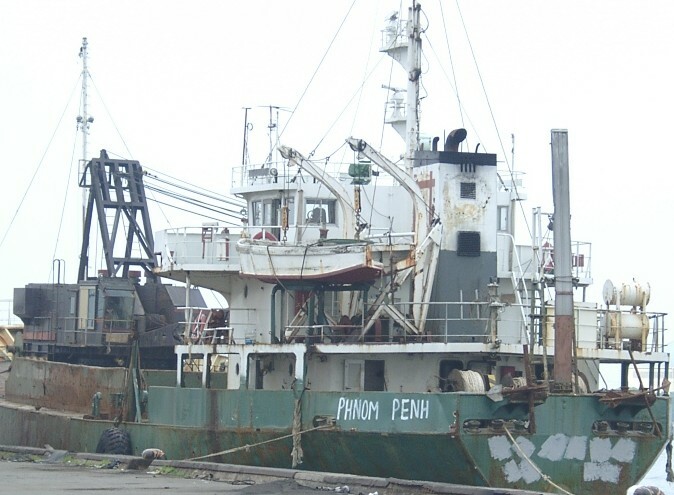 "Thirteen crew were found on board one vessel, 14 on the other; all are People's Republic of China nationals. 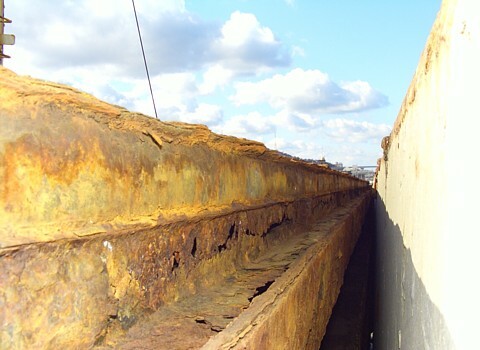 Each vessel weighs approximately 123 tons and is 31 metres in length," the statement said. "Initial investigations by AFMA officers on board HMAS Ipswich found approximately 4,000 kilograms of reef fish on board the De Yuan Yu 001, and 3,000 kilograms on board the De Yuan Yu 002," it said. The two vessels were expected to arrive in Darwin on Saturday. The incident comes two weeks after the Australian Government said it would have to release the biggest suspected illegal fishing vessel detected in Australia's waters, after receiving advice that a successful prosecution was not possible under present law, Australia media reports said. The Australian Government was forced to release the suspected "mother ship" the Chen Long and its 639 tonnes of fish, but vowed to review its laws.